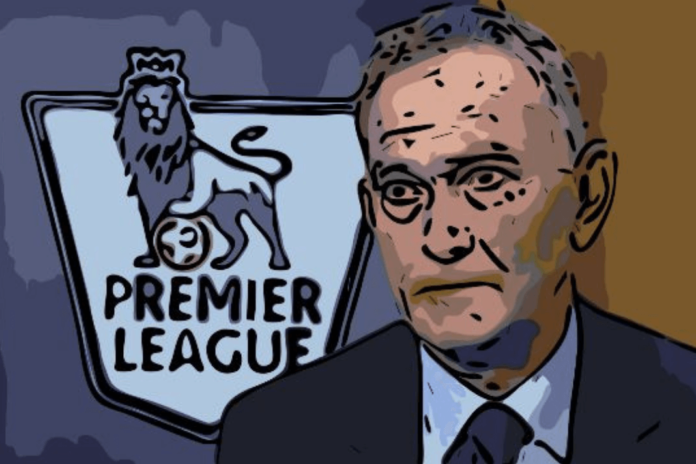 The latest news Premier League Chief Executive Richard Scudamore is to receive a pay off from the clubs has caused much consternation amongst many football fans. Scudamore was appointed CEO of the Premier League in November 1999. It is rumoured he earns more than £900,000pa. When he arrived in the job the UK television rights were valued at £670m. The most recent deal was worth £5.14bn. The Premier League is envied throughout the world for its wealth. The clubs cannot believe their luck in being around at the same time as him. Hence the payment. It has been suggested the clubs will pay him £5m as a ‘thank you’ or a reward for his ‘services’ to the league. This is something which wasn’t in his original contract, it’s simply a gift. But many fans are not happy with this. They say the money could’ve been better spent than paid to someone who is not short of any. There is no doubt Scudamore has been a huge success for the league. You only have to look at the rise in the tv deal to discover this. But it’s not just his negotiating skills with television executives which can be called successful. His determination the money should be shared equally has had a huge effect on improving the wealth for clubs who have not won anything. But for someone who excels at their job, their salary is meant to provide recompense for this. For the French and Spanish leagues, they got this horribly wrong. There is vast disparity in the wealth earned each season by those clubs qualifying for Europe, to such an extent clubs lower down the league have no chance of emulating. 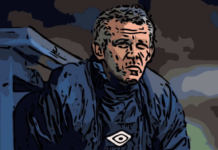 You only have to look at the recent plans for a European Super League to find how those elite clubs within Spain, Italy and Germany view his achievements in this regard. They are prepared to ditch their own domestic leagues in a bid to tap into the product he’s created. But of course, Scudamore has not been without his detractors. There is a huge section of the public who’ve been turned off from the Premier League. Alienated from a product they consider ruined by money. The players’ wages, the excessive payments to agents, ticket prices etc have seen many people gravitate away from the top tier of the game. They have been more attracted to football at a lower level, giving a boost for non-league clubs. Clubs at that level can only dream of the sort of money sloshing around in the higher echelons of the game in this country. For some clubs, just getting the kit washed can be a thankless task. But having money to provide decent playing facilities must surely be a priority. For many local clubs at various age groups, they cannot play between December and January as their pitches are waterlogged. A new pitch or draining facilities can cost thousands, maybe hundreds of thousands. They simply do not have that sort of money. The Premier League has simply ignored criticism from dissenting fans over the years, choosing to welcome the many more affluent people who have taken their place. Ticket prices are beyond the reach for many of the fanbase clubs used to tap into in the seventies and eighties. This is where football could easily have shot itself in the foot. Facilities for families are vastly superior to those of grounds in the early Premier League days, or pre-Premier League. Yet for a father to take two children to a game, buy programmes, drinks, half-time pies etc, it can set them back a greater percentage of his income than would’ve been the case thirty years ago. As far as I’m concerned the game is a far superior product than was on offer back in those days. But there is a huge disparity between the “haves” and the ‘don’t-even-think-about-it’s. Which is why I believe the Premier League clubs missed a real PR trick. Imagine the publicity had they chosen to set up a foundation to put £5m into. They could’ve called it the Scudamore Foundation. This money could then be available for clubs to apply for grants to improve their facilities. That way you have some hold over what it is used for, rather than simply bunging money into a club account and no one other than the treasurer being aware. Instead of the clamour, rolling of eyes and cynicism, you would have some goodwill, maybe some thanks, maybe some ‘well-done PL’ coming their way. There are already vast sums going out of the game to players and agents etc. But if you’re a small local club barely able to keep one team going, or maybe you’re a thriving club with several teams at various ages, imagine being able to tap into some funding with no strings attached. Perhaps the only proviso was you actually spent the money on what you said you would. Pitches, facilities, kits? For a professional club, they can spend money on training facilities quite easily. Even clubs in the fourth tier of English football have decent pitches. Long gone are the muddy, quagmires of the seventies. The run-down, crumbling constructions of the eighties. But for clubs further down the pecking order they can only dream of such luxury. The next generation of footballers come through these levels. 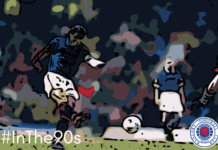 What of players who don’t make it at academy level? They often gravitate towards non-league, Semi-Professional clubs. I believe the Scudamore Foundation could have been something great. Not huge, not life-changing, but just something to improve the game at grass-roots level. Maybe the Foundation could buy buildings and allow clubs to use them rent free. Then the Foundation would retain the capital value in these. Maybe they could provide funding for a club to set up again. One where the council has now removed their playing area and has no money to re-home them. The possibilities are endless, well until £5m has been used up. But invested wisely, this could make a huge difference. But Mr Scudamore looks set to have it, who knows what for. But as far as I’m concerned it was an opportunity missed. Previous articleWill Champions League Final Be a Repeat of 2017 Showpiece?